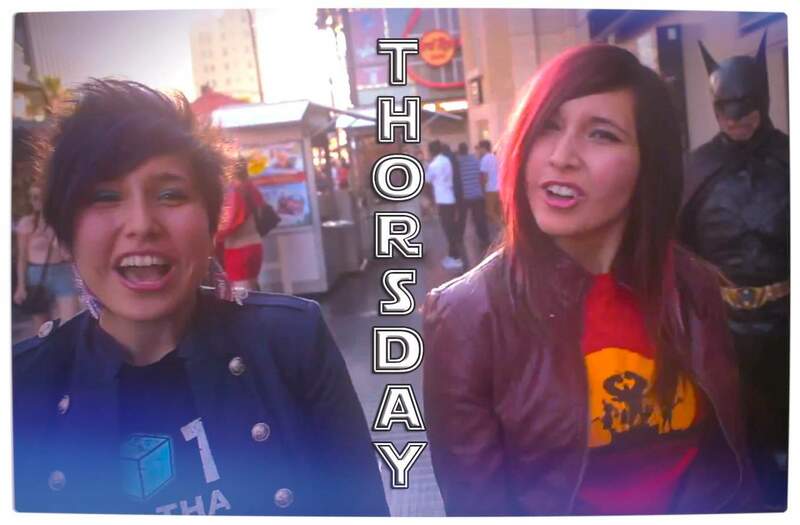 In a similar vein to Monday’s Five Great Nerdy Days Until the Weekend, we have another Rebecca Black parody to share. This time, however, it is related to Marvel’s hunky Asgardian god of thunder. Welcome to another glorious Thorsday! The Thorsday themed video below was created by twin sisters Lisa and Gina Gomez and is a wonderfully geeky tribute to Marvel’s Thor. The ‘Friday’ parody chronicles a Thursday in the life of a “Thor and Loki fangirl” and is filled with loads of great geeky references, like the sisters pictured with Stan Lee, the Thorsday to-do list, an unintentional cameo from Batman and collectibles from the BBC series Doctor Who and Sherlock, among many more. The song also references forthcoming Marvel movies like Captain America: Winter Soldier, The Avengers 2 and, most importantly, Thor: The Dark World.